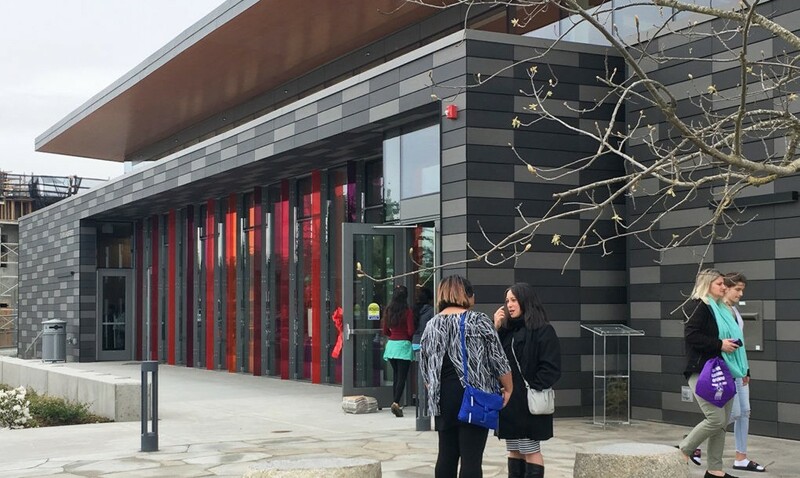 the new library was designed for one of the most diverse communities in the country, including for students at the most diverse high school in the U.S., many of whom collectively speak more than 80 different world languages at home. 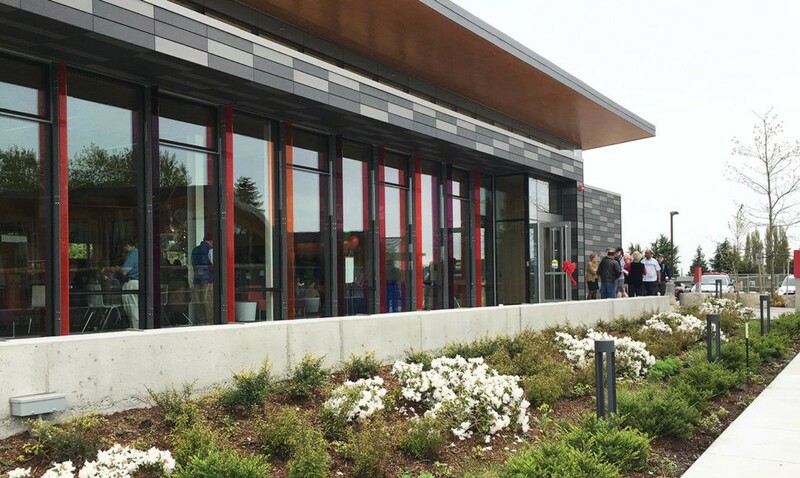 The exterior of the library was envisioned to have a timeless yet modern look and Cladding Corp was able to assist with the design of charcoal-colored Terra5 panels for much of the exterior elevations. Other facade materials served as features to the Terra5 exterior including zinc cladding, aluminum sunshades and colored glass finishes. The library also has a “green” roof made up of heat and drought-tolerant native plants designed to will help regulate the building temperature inside while preventing stormwater runoff outside. For more information on this project, contact Perkins +Will.